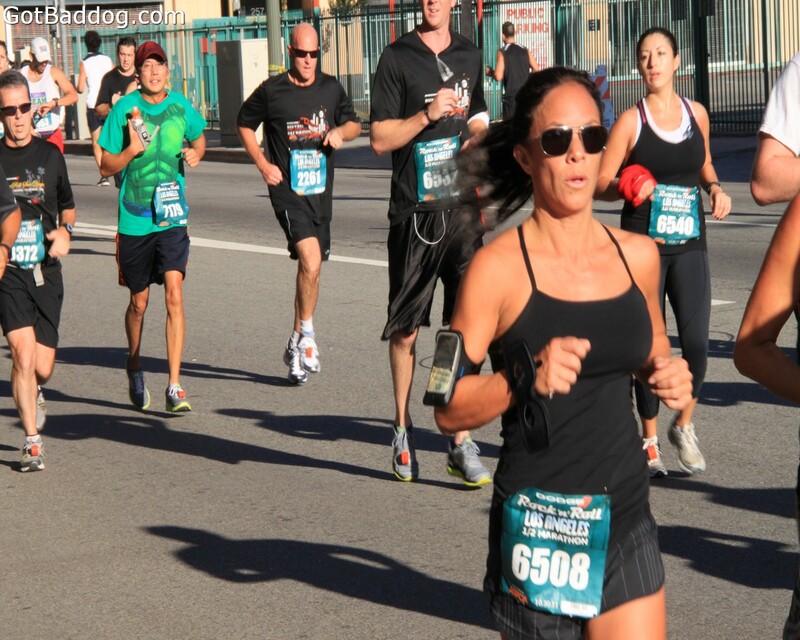 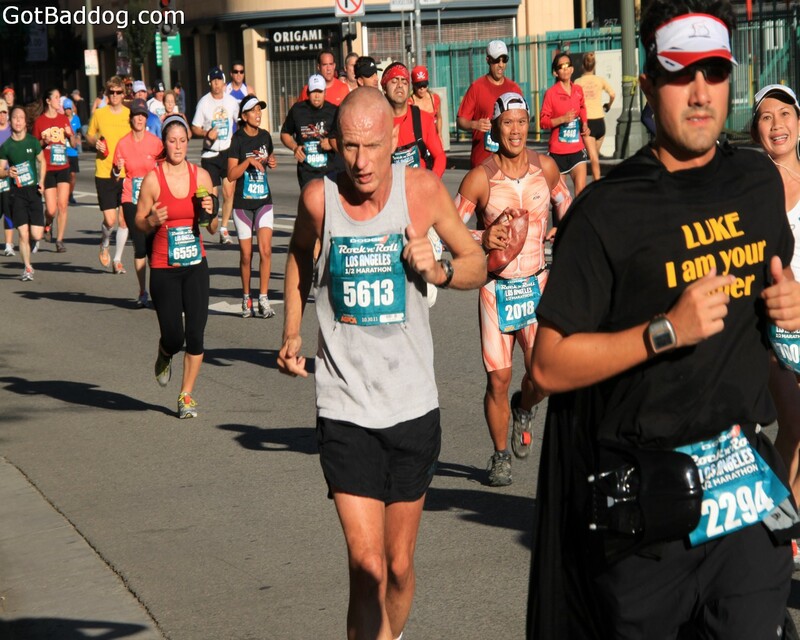 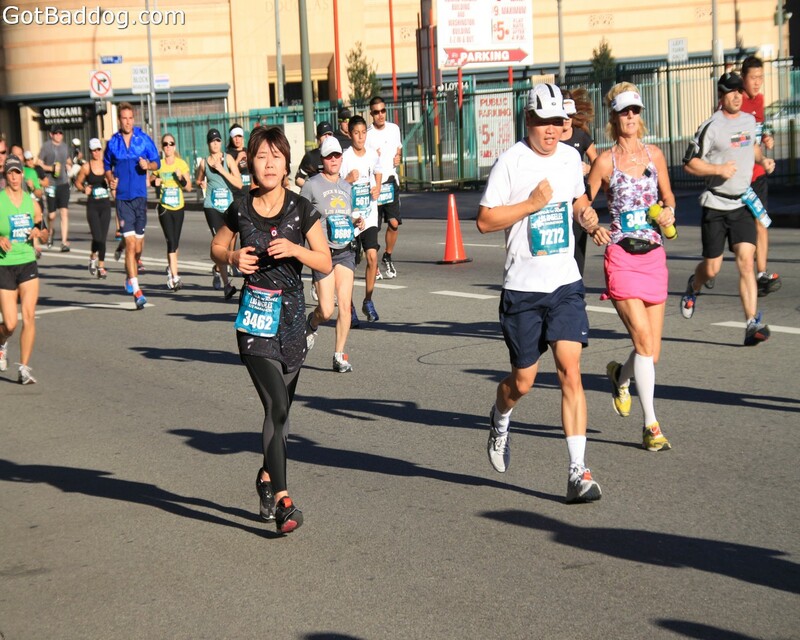 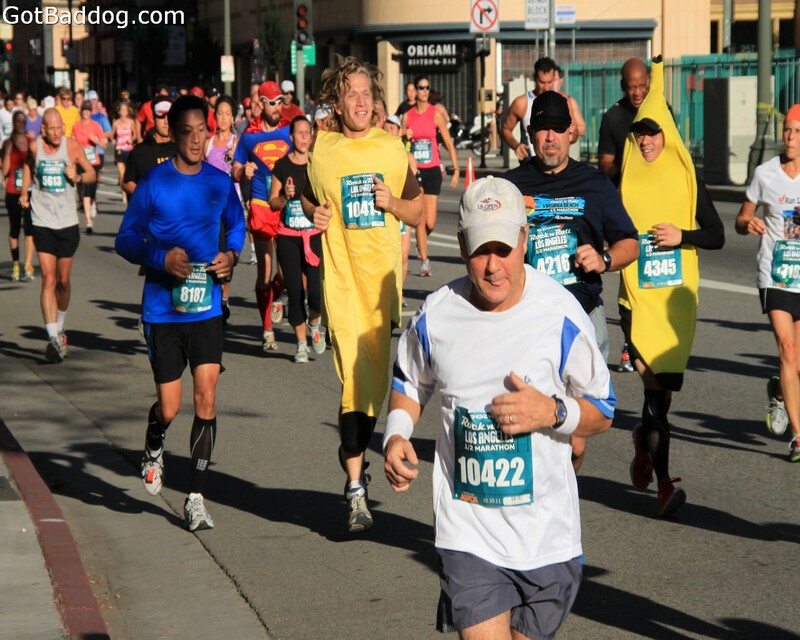 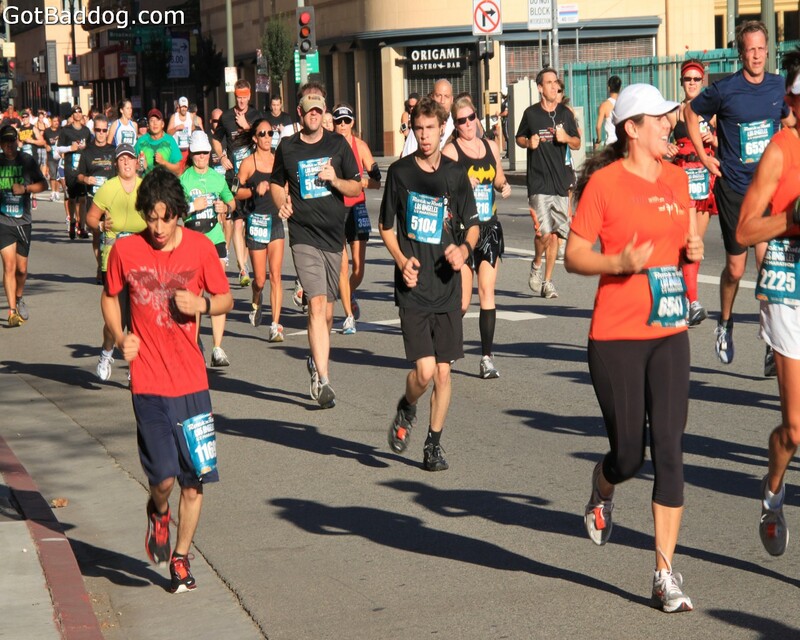 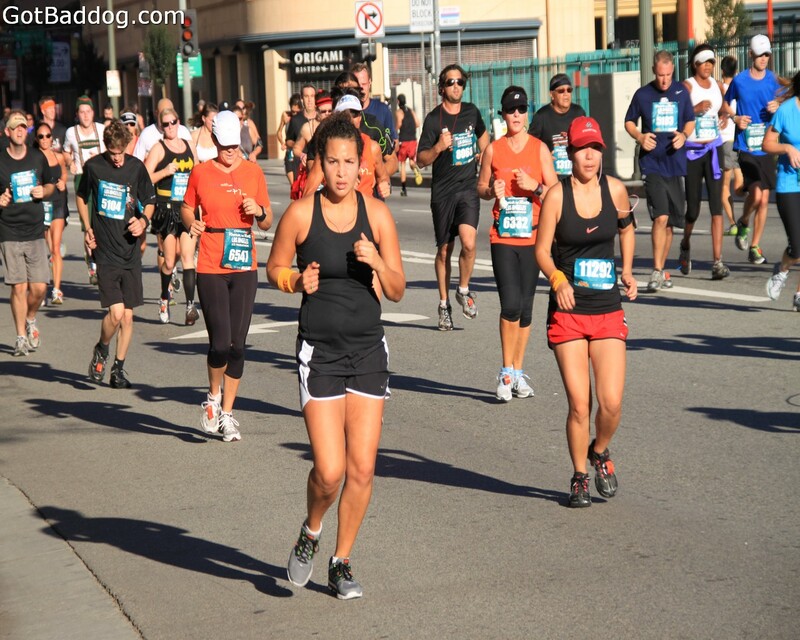 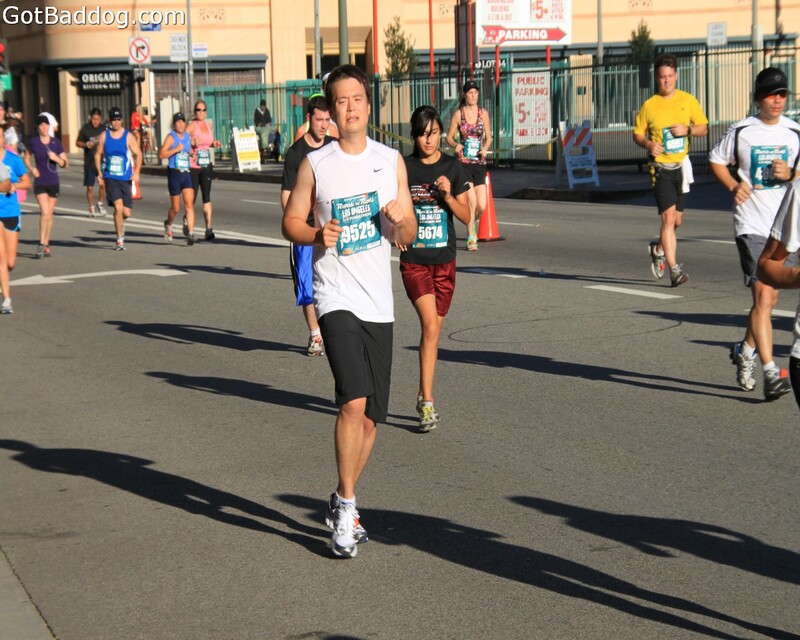 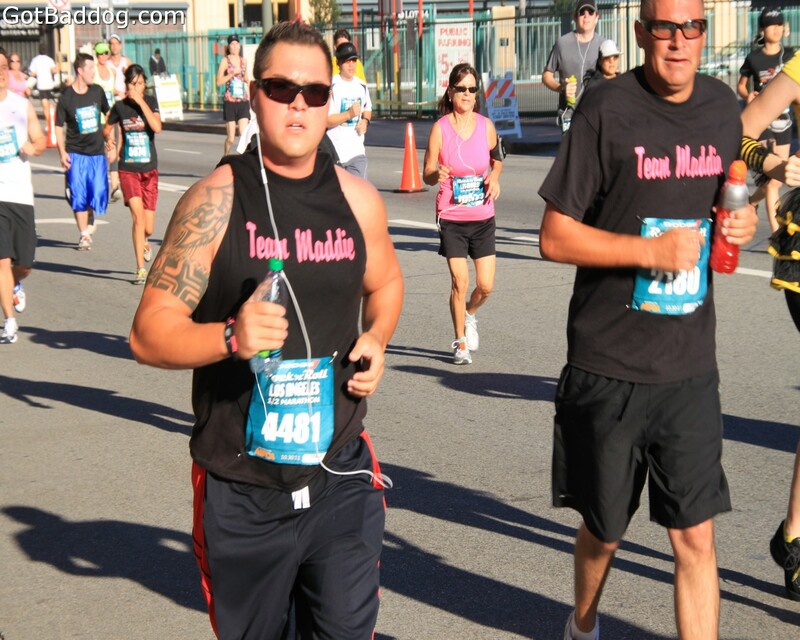 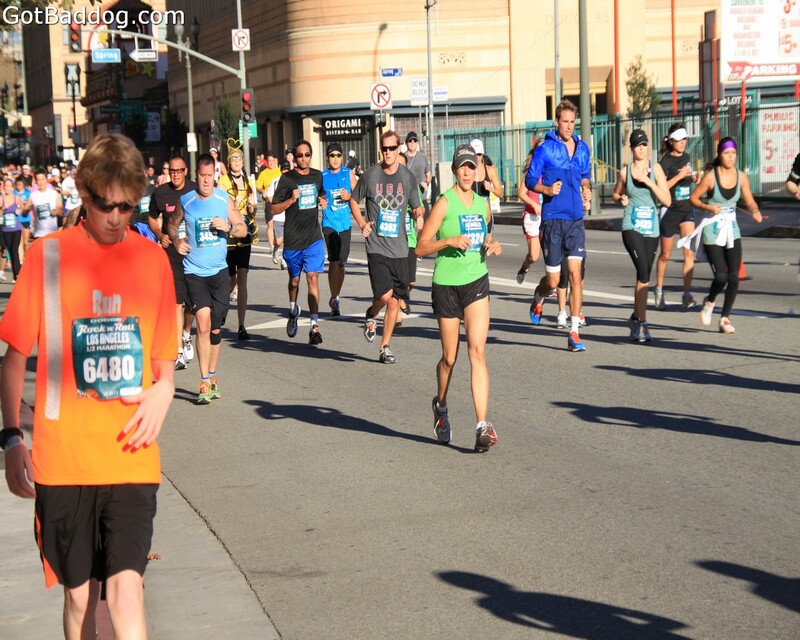 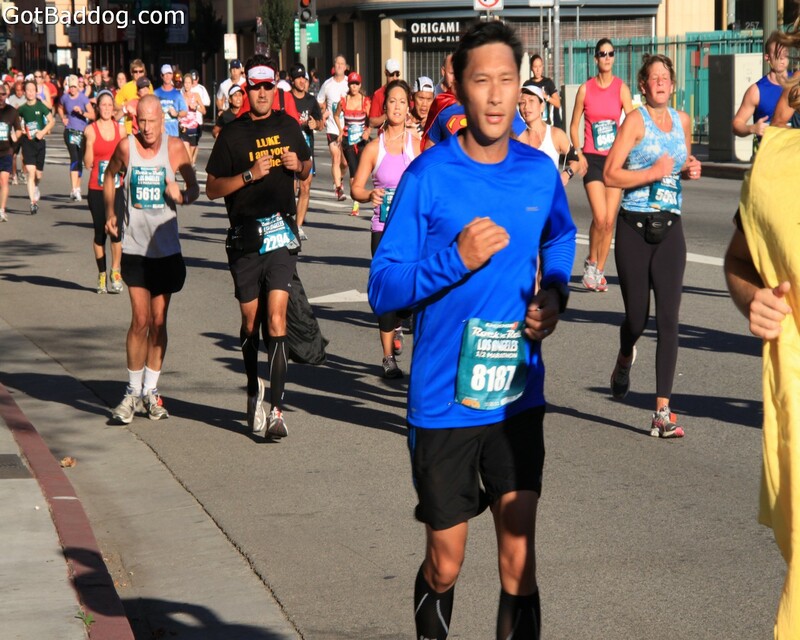 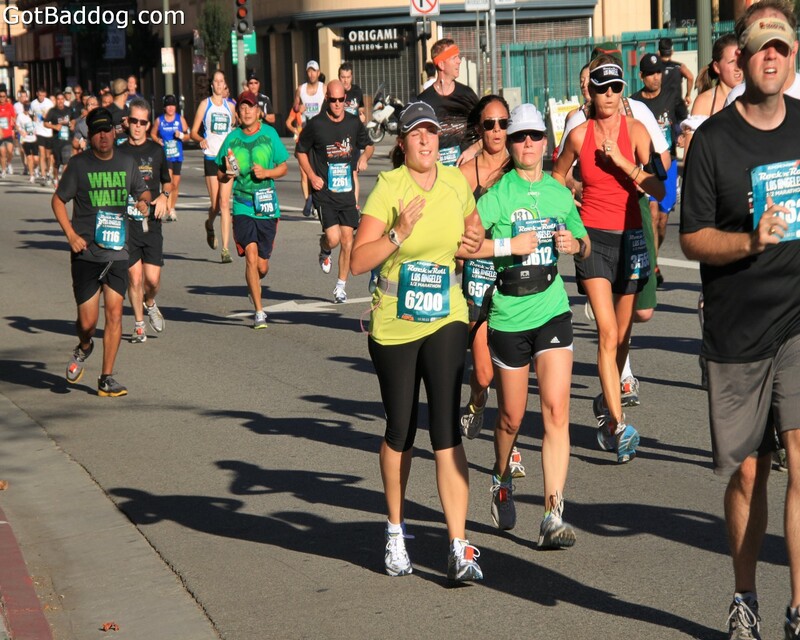 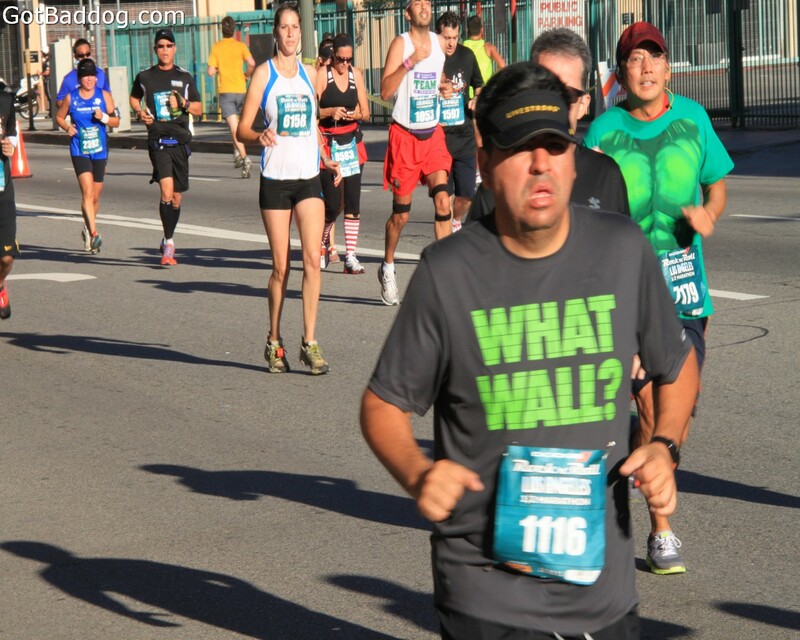 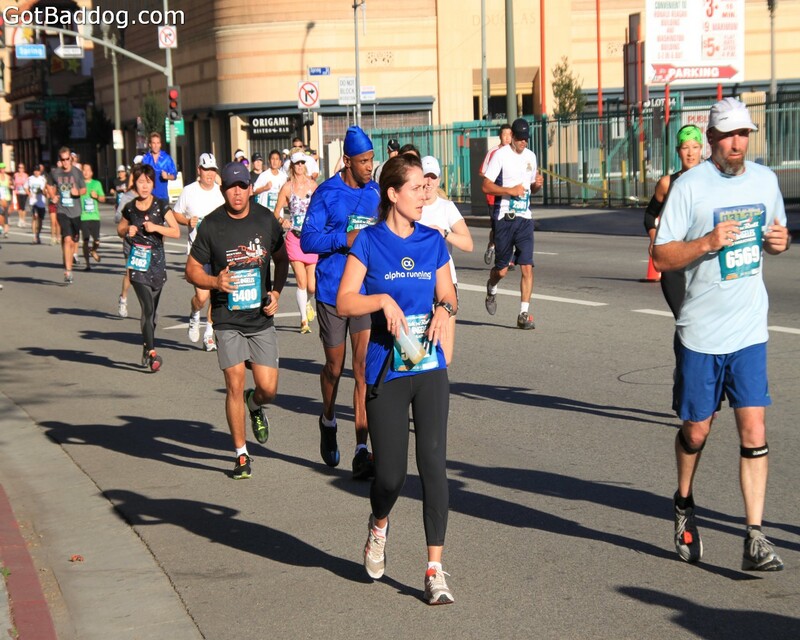 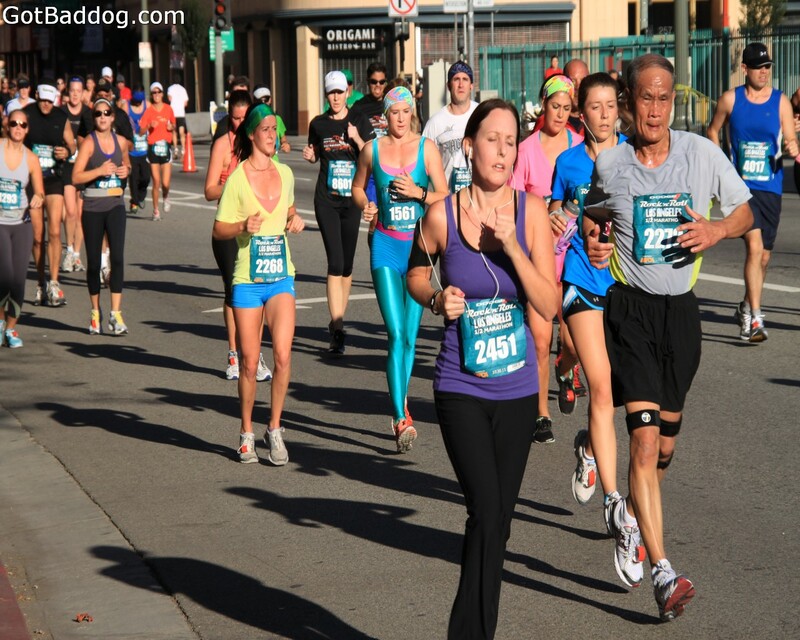 Today was the 2011 Rock ‘n’ Roll Marathon in Los Angeles. 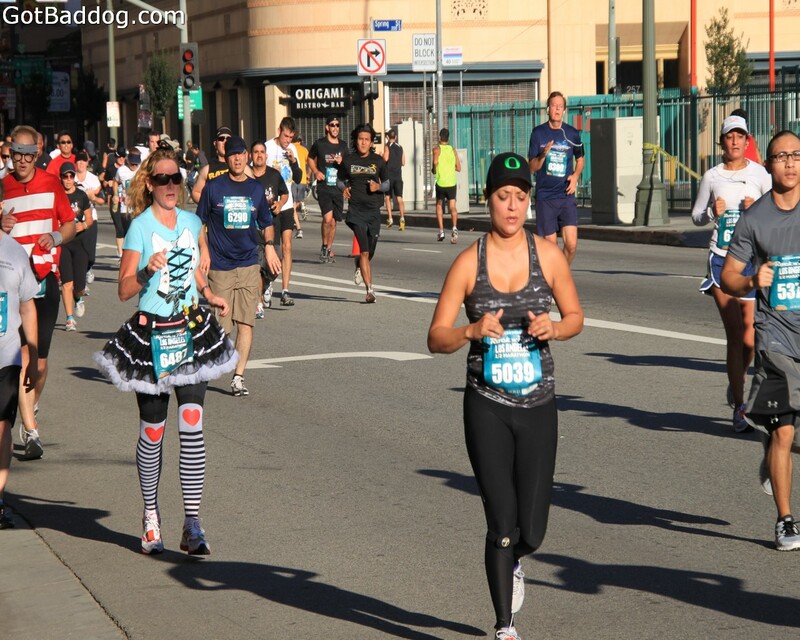 Since my daughter and one of her friends were participating, I decided to get up early and head out to downtown Los Angeles to take some photos. 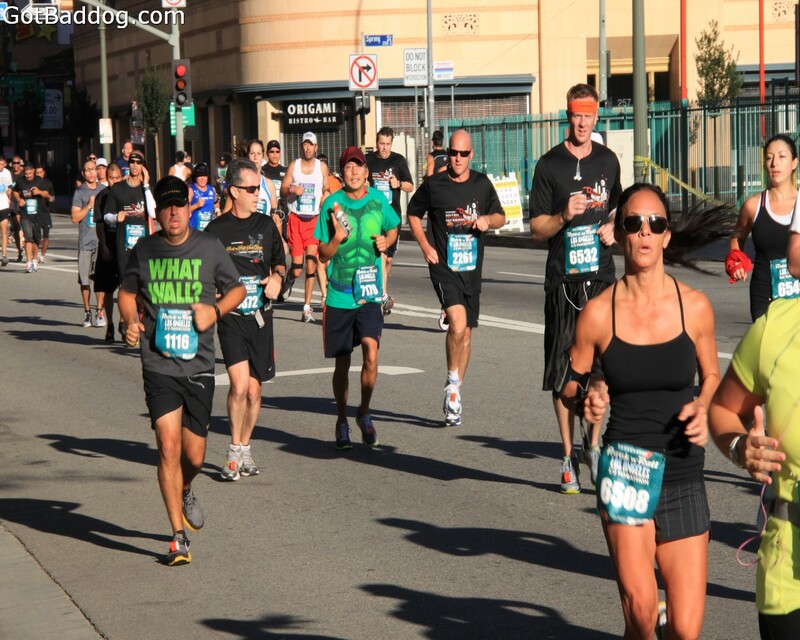 The Rock ‘n’ Roll Marathon series is a fundraiser for various charities, including ASPCA, Susan G. Komen for the Cure, TASK, St. Jude Hospital and several others. 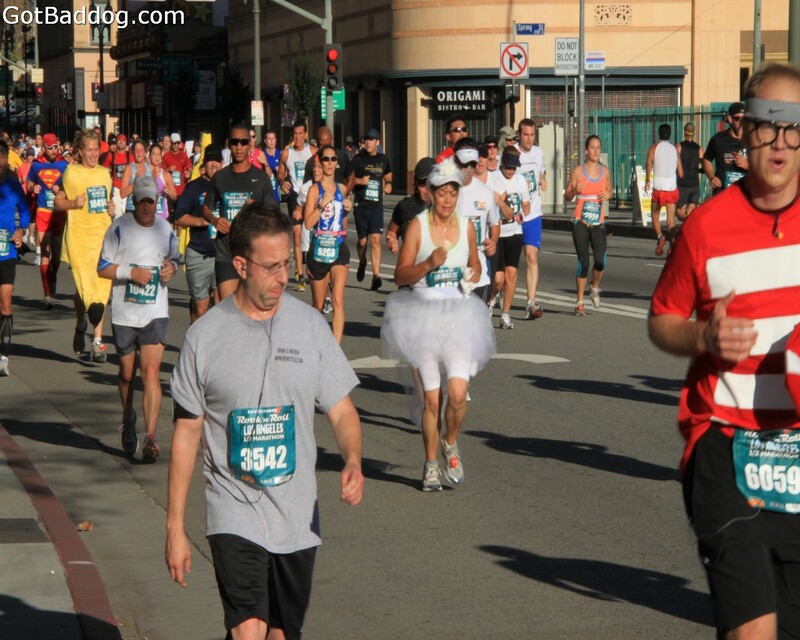 They have marathons around the country. 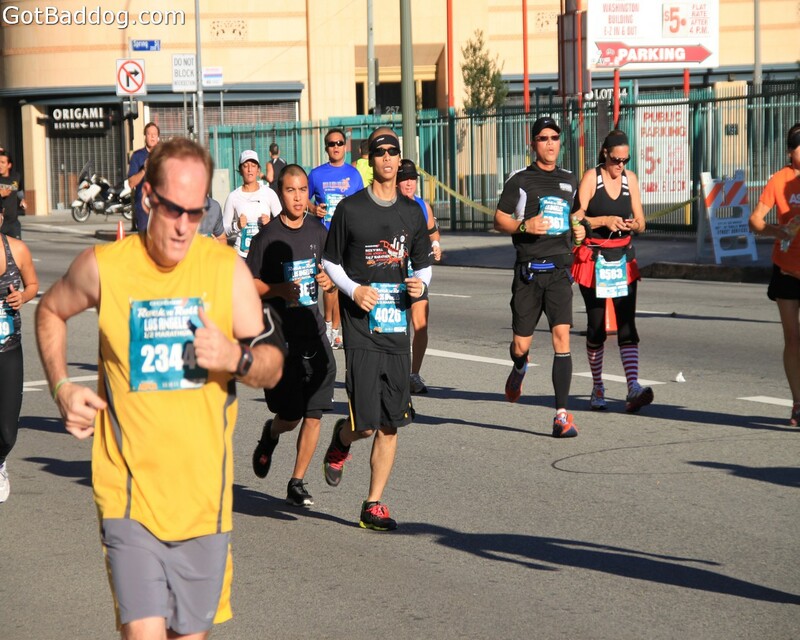 Today’s marathon had about 10,000 participants and there were live bands set up every mile along the course as well as cheerleaders from local high schools. 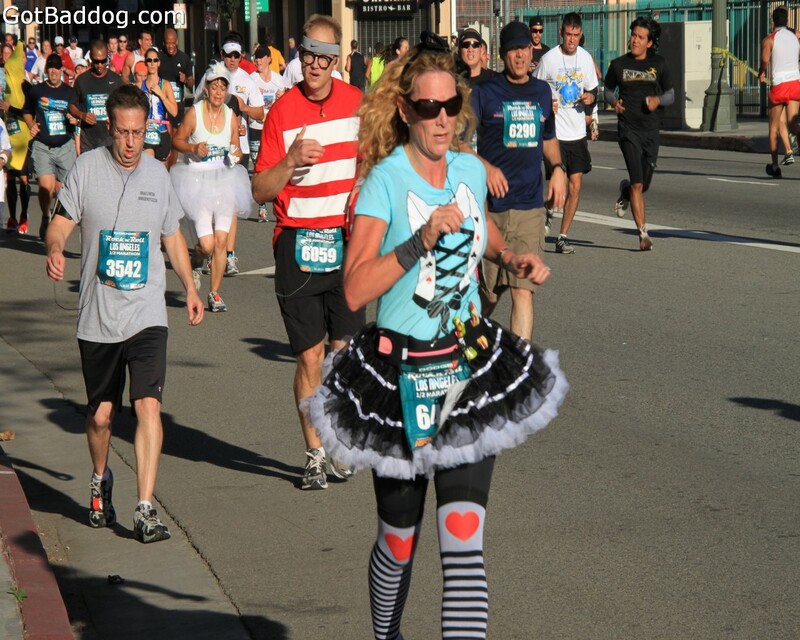 There was a definite carnival attitude at the event. 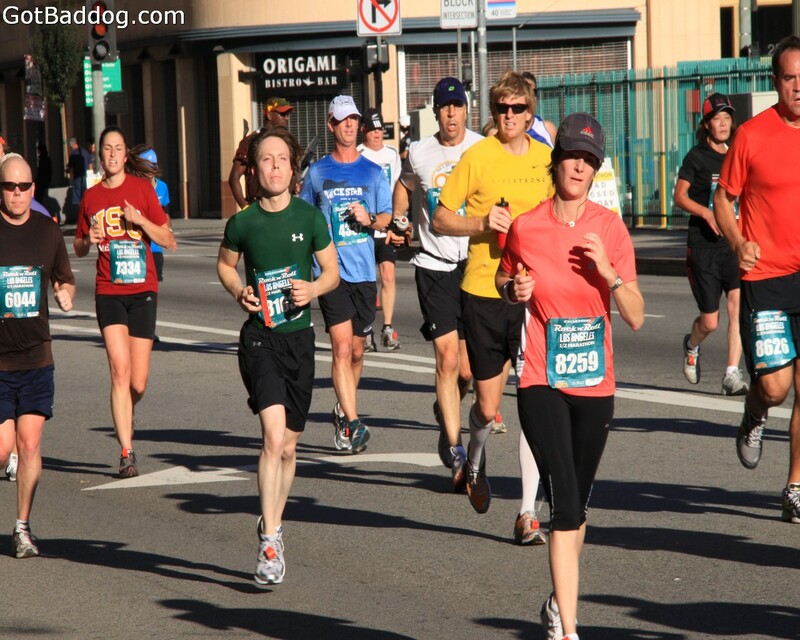 Charlie Serrano won the men’s division and Deena Kastor won the women’s division.